I just wanted to take a minute to address an extremely common theme I see with regards to people’s fitness and fat loss goals. 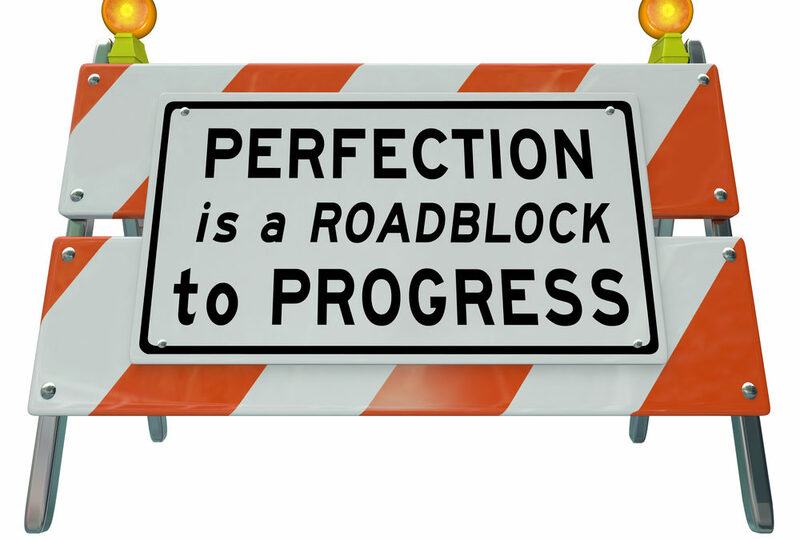 This is the problem of perfectionism or “all or nothing syndrome” as I like to call it. It is this insidious idea that if you don’t have time for a 90 minute workout, there’s no point in doing anything at all. This idea is a huge part of why a lot of people don’t make any significant progress towards their goals, because it robs them of consistency, which is the main element necessary to achieve them. I have had some of my absolute best workouts when I only had 15-20 minutes because it gave me a sense of urgency and forced me to concentrate on the big picture, and not waste time on a bunch of fluff. Don’t forget either, that those 15 and 20 minute workouts really add up over time, if you do them consistently, that is. It’s also a lot easier, from a mental perspective, to get yourself motivated for a shorter workout than it is if you know you’re going to have to train for an hour or more. I also think that for 99.9% of the population, longer workouts like that are a waste of time, unnecessary, and even counterproductive, for a number of reasons. Long workouts can lead to overtraining, which can impair your recovery and elevate cortisol levels (the stress hormone). This, in turn, can lead to muscle loss and fat gain. Testosterone levels peak at about 45 minutes for natural trainees (and yes, testosterone is an important training aspect for women as well) . Once they start to drop off, your training should be winding down. HERE is an article I wrote awhile back regarding training to build muscle. Remember ladies, that muscle is the “shape” you are revealing once you lose the excess bodyfat, so regular strength training to build muscle is one of the most important things you can do to improve how you look (and feel as well).